Through trading, fulfilling missions, or pirating, you earn the money and skills necessary to buy new ships and upgrade your equipment. Additionally, you’ll have to manage a crew, board & plunder enemy ships, and even conquer star systems. 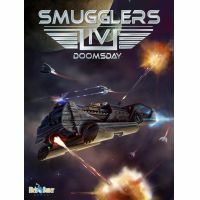 • Acquire up to 60 different abilities and choose between 6 different professions (trader, combat trader, mercenary, bounty hunter, smuggler, pirate). • 24 star systems with over 75 planets. Visit your favorite planets or discover some new systems. Beautifully crafted planet art. • Four different factions with completetly different ship textures, uniforms and medals (depending on your success you can pin rank signs, ribbons and medals on your proud chest). 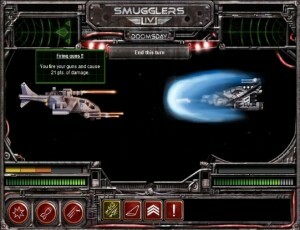 • Improved crew combat now featuring battle droids, EMP weapons and commando attacks. You can board and capture enemy ships. • Completetly new spaceships ranging from small fighters and corvettes up to large freighters and battleships. • The ships have special equipment and abilities that makes every spaceship unique. • New turn-based space combat gaming system including different abilities such as cloaking, recharging shields, boarding enemy ships, etc.